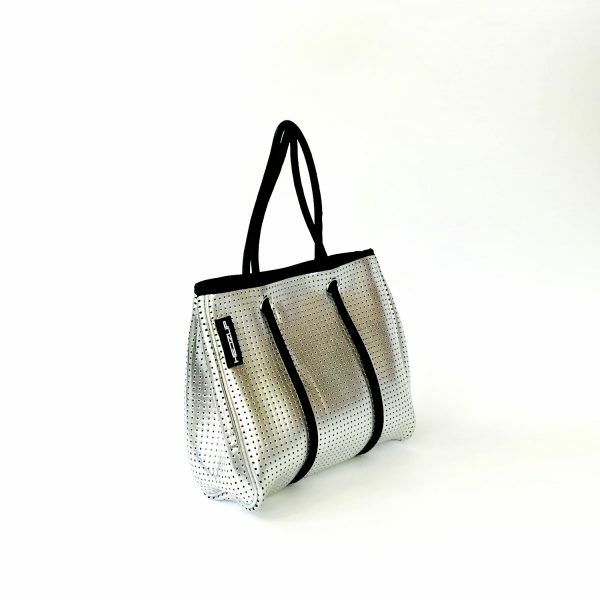 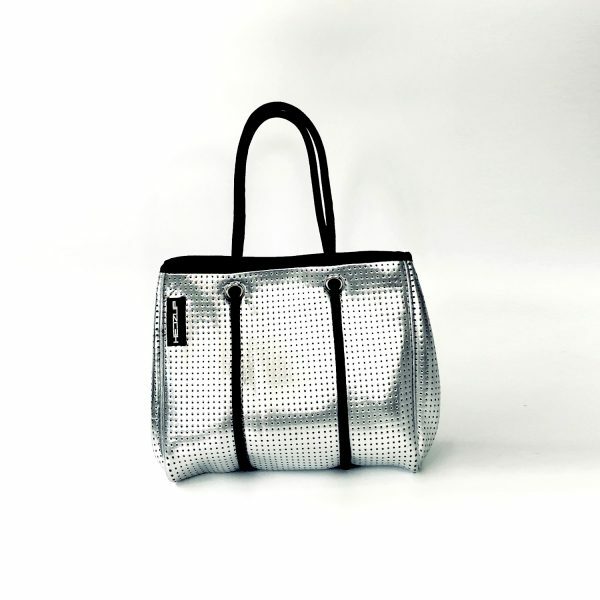 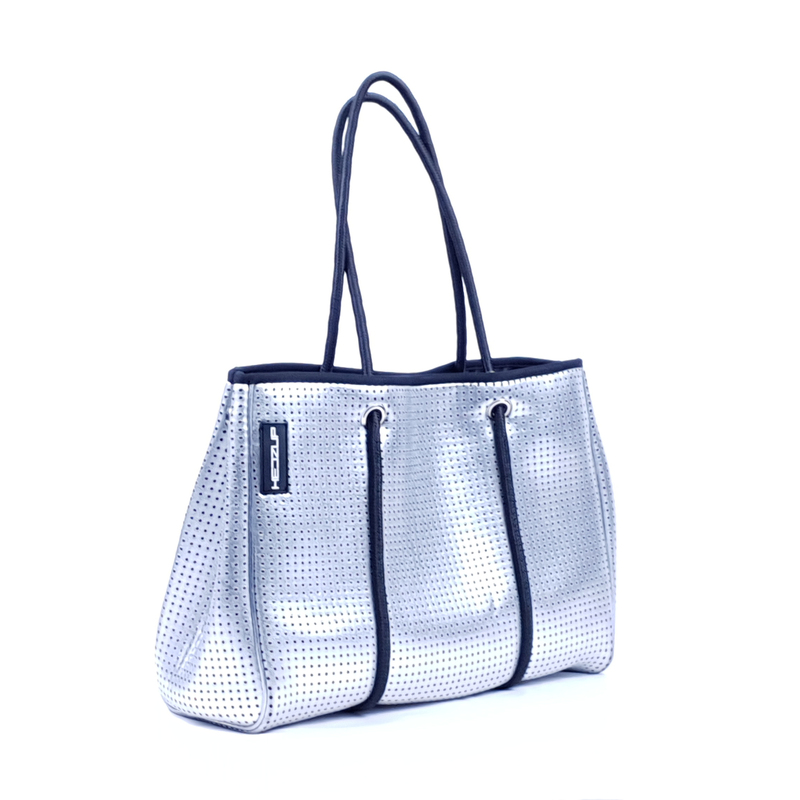 Our Metallic Silver Small Neoprene tote bags are washable, versatile, lightweight and super trendy. Perfectly mum-sized, designed for you to take anywhere. 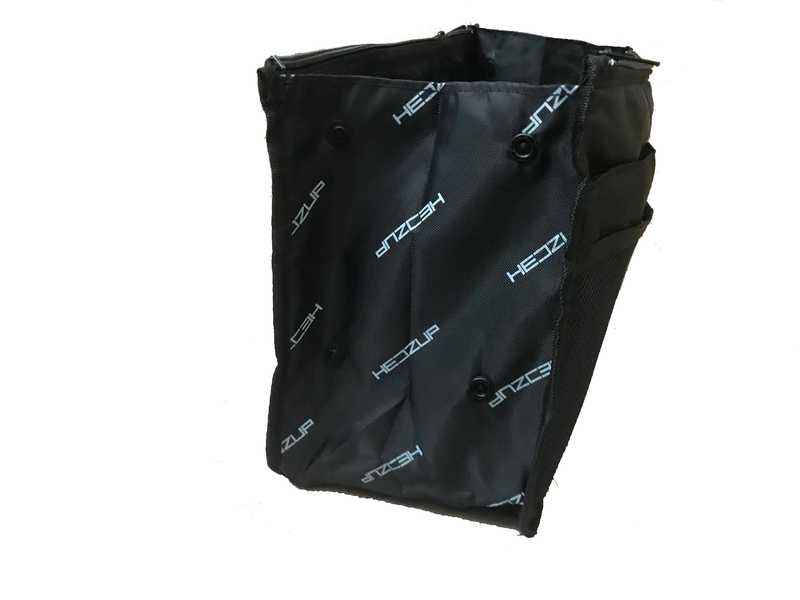 Available in three handy sizes; small, medium and large. 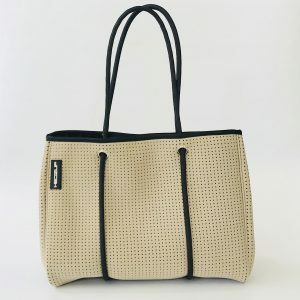 This tote will soon become your go to bag for any occasion on any day. 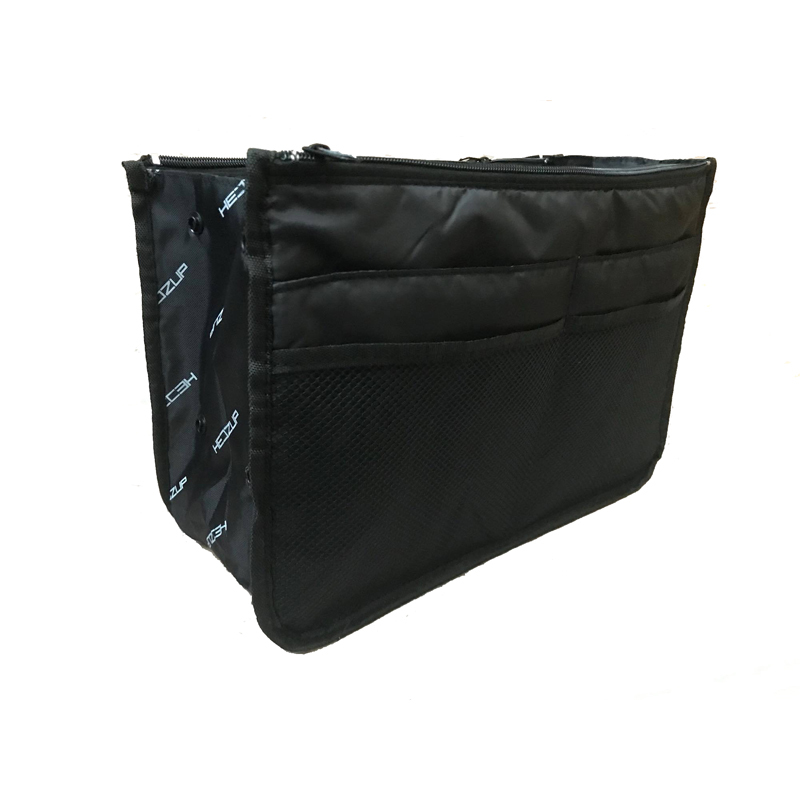 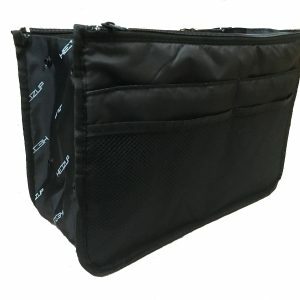 Bonus Tote Organiser valued at $35, absolutely free!